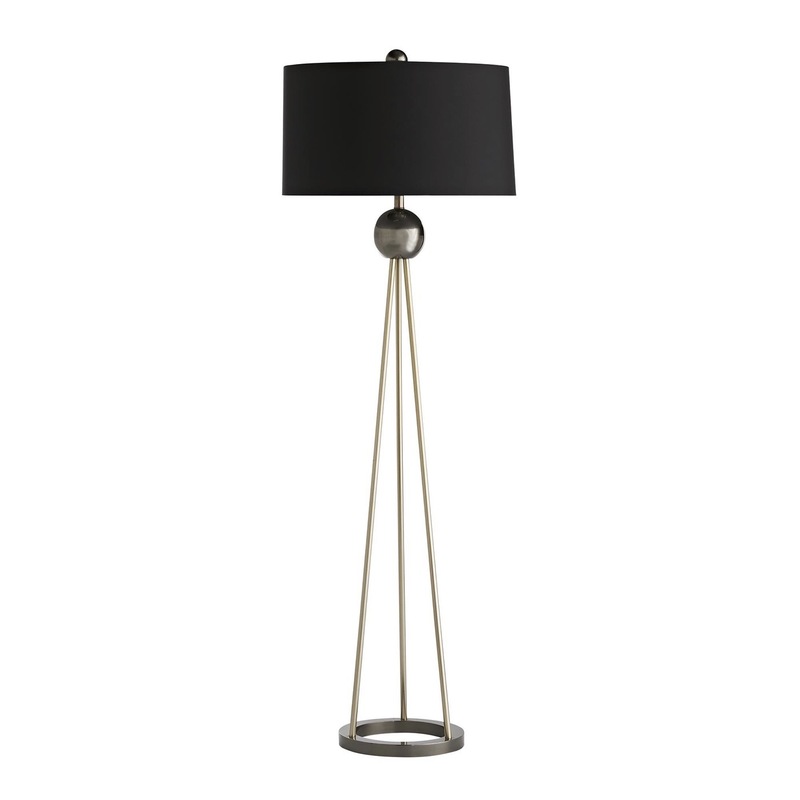 Sleek and sophisticated features are this floor lamp's forte. 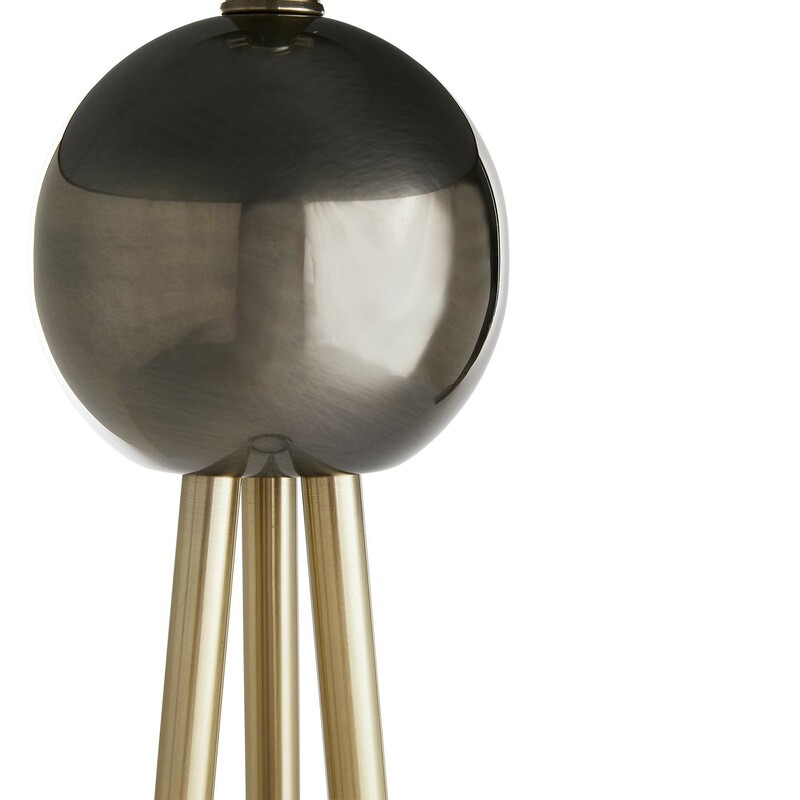 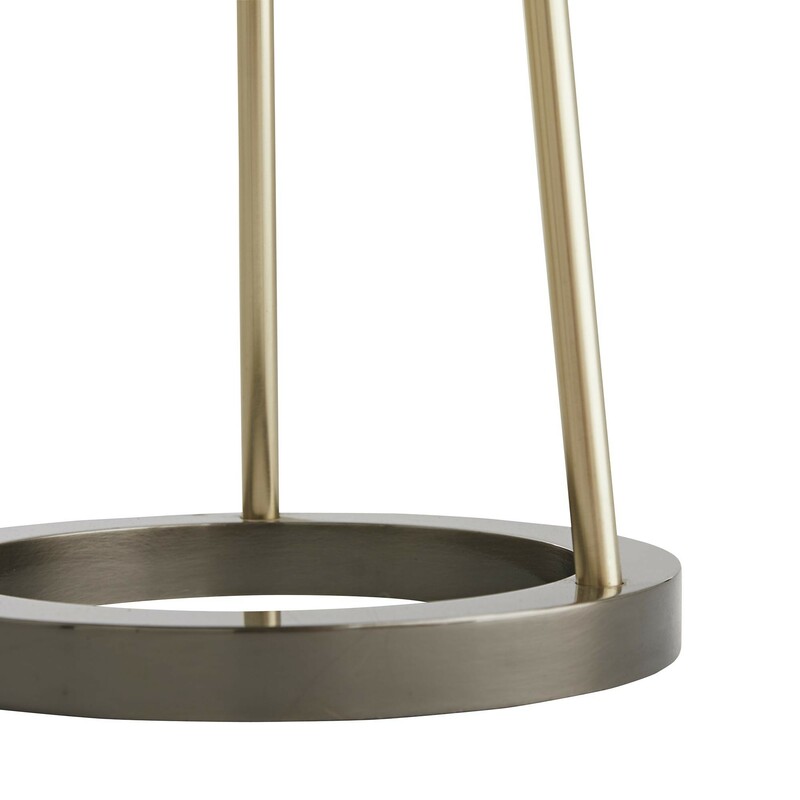 Three pale brass rods form an architectual tripod, anchored by a sturdy circular base and top sphere connection, both finished in antique silver. 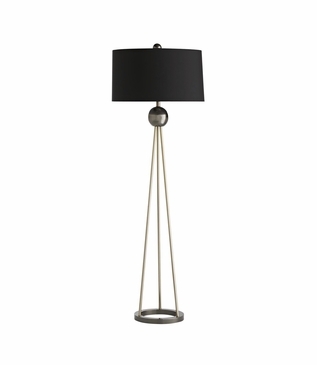 The luxurious, black microfiber shade is accented by a complementary antique silver finial. 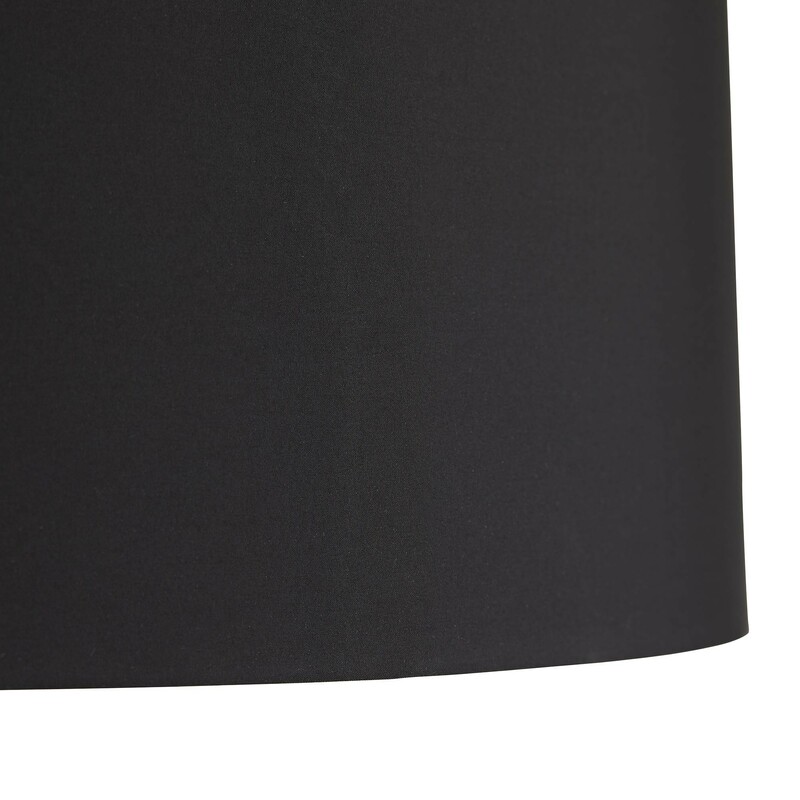 1-150W maximum, Type A-E26 bulb (not included), 3-way rotary switch at socket. UL listed.